Kazakhstan and Lithuanian customs officials are using electronic seals to ensure truck cargo doors are not opened en route. April 15, 2008—Customs authorities in Kazakhstan and Lithuania are using RFID electronic seals (e-seals) on trucks passing through their countries—mostly traveling from China to Russia and into Western Europe—to prevent smuggling and theft of cargo transported within their borders on the way to other countries and ports. ASTANA, Kazakhstan, April 14 (UPI) -- Kazakhstan-based Science Technical Center says it will implement radio frequency identification cargo monitoring technology at Kazakhstan border checkpoints. Science Technical Center, or NTC, has been contracted to install the cargo monitoring technology based on a platform designed by Maryland-based RFID sensing and control solutions developer Hi-G-Tek. NTC officials will implement the Automatic Delivery Control System, incorporating Hi-G-Tek outdoor data readers, handheld readers and reusable Hi-G-Locks, at several Kazakhstan border checkpoints between China and Russia. ROCKVILLE, Md., 10 April 2008. 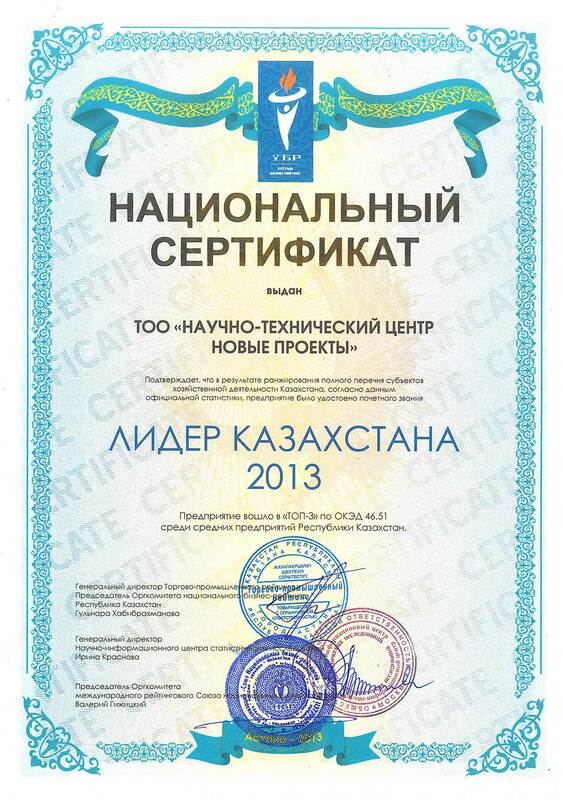 Hi-G-Tek, a developer of RFID sensing and control solutions for tracking high-value cargo and sensitive materials, provided its technology platform to Kazakhstani-based systems integrator, Science Technical Center (NTC), to implement a cargo monitoring system for the Customs Control Agency (CCA) of Kazakhstan. NTC designed and installed a solution around Hi-G-Tek's integrated radio frequency identification (RFID) cargo monitoring technology at several major Kazakhstani border checkpoints between China and Russia. The Automatic Delivery Control System (ADCS) is used by the CCA to secure the 4000-mile journey against black market theft, with the intent of increasing commercial cargo traffic and associated customs tariff revenues. Kazakhstan is going to rise tens positions up in the world rate of business management easiness. The reform, designed for simplification of custom registration procedures and named “revolutionary” by the members of Cabinet of Ministers, will help in this issue. According to the results of research, conducted by the World Bank, Kazakhstan is on the last, 178 positions in the rate of business management easiness. To change the situation the government members in short period have elaborated the plan for cargo registration simplification for foreign economic activity participants (FEA). THE FIRST STAGE OF JOINT CUSTOM SUPERVISION BEGINS AT THE KAZAKHSTAN CHINESE BORDER. Today the custom services of the check-points “Kalzhat” (Republic of Kazakhstan) - “Dulaty” (China) launch the pilot project by introduction of the first stage of joint custom supervision at the border of Kazakhstan and China, reports KazInform with citation on the Embassy of RK in China.